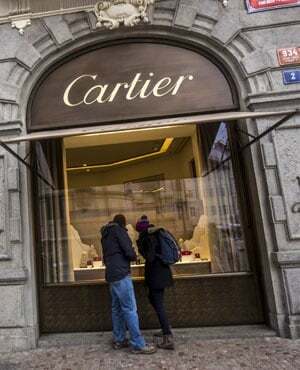 New York - Richemont [JSE:CFR] agreed to take full control of online luxury retailer Yoox Net-a-Porter for about €2.7bn or $3.3bn (R40bn), reflecting e-commerce’s inroads into the world of $5 000 (R60 200) Cartier necklaces and $50 000 (R602 000) Vacheron Constantin watches. Investors would receive €38 a share, the Geneva-based luxury-goods company said Monday in a statement. That’s 26% higher than Friday’s closing price. Richemont already owns 50% of YNAP. The bid shows how Richemont is embracing internet shopping, abandoning initial scepticism as big online sites and a crop of startups cater to the online luxury niche. Luxury companies are increasingly finding it necessary to change strategy to adapt as shoppers turn to Amazon and other digital outlets for everything from cheap T-shirts to expensive timepieces. Swiss watchmaker Audemars Piguet last week said it plans to start a chain of standalone stores to buy and sell secondhand timepieces as the online vintage market takes off. Shares of the Italian company rose as much as 26% in early trading in Milan, matching Richemont’s bid. “There is a possibility of a counterbid to Richemont’s offer,” wrote Sherri Malek, an analyst at RBC Europe, saying YNAP could be attractive to Amazon, or that YNAP could tie up with Asos or Zalando. Richemont is expanding a push into retail as it tries to sell more of its timepieces itself. Last year the company built a 7.5% stake in Dufry, the world’s largest duty-free retailer, and passed on the opportunity to buy Breitling, the aviator watchmaker that CVC Capital Partners purchased. Chairperson Johann Rupert has said he prefers building Richemont’s own brands to overpaying to acquire new ones. “We intend to strengthen Richemont’s presence and focus on the digital channel, which is becoming critically important,” Rupert said in the statement. YNAP chief executive officer Federico Marchetti has committed to tender his 5.7% stake in the company. Richemont will give additional resources to invest in technology, logistics, hiring and marketing, he said in a statement. In November, YNAP reported third-quarter sales that were slightly below analysts’ estimates and said full-year revenue growth would be at the lower end of the company’s forecast range. Goldman Sachs Group advised Richemont on financial matters and BonelliErede and Slaughter & May were legal advisers.